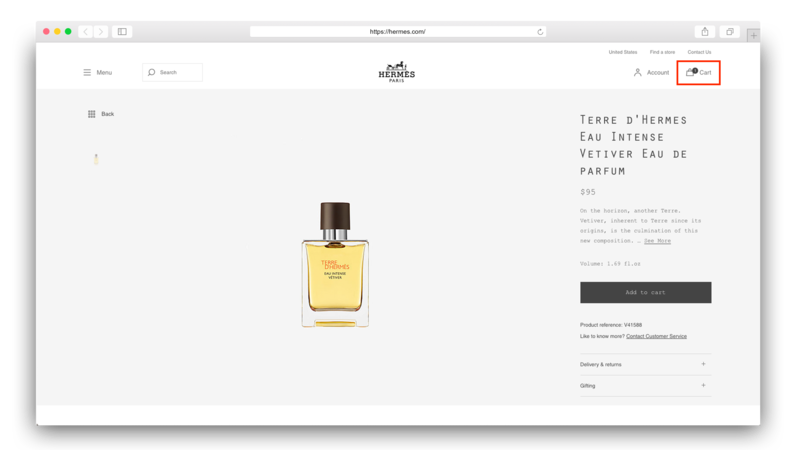 We have decided to prepare a series of tutorials on how to order from luxury brands for you. 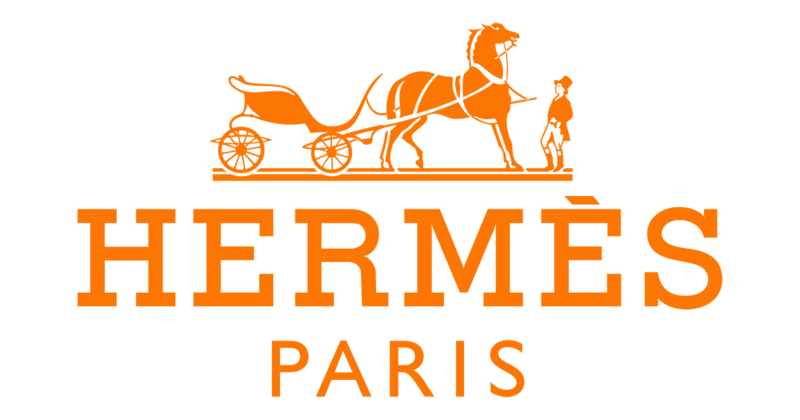 Right from the start, we begin with one of the most luxurious brands – the French manufacturer of clothes, shoes, watches, and perfumes, Hermès, founded in 1837. Sign up to our service. Fill in your delivery address (ie, where you live or where you want to send the package). 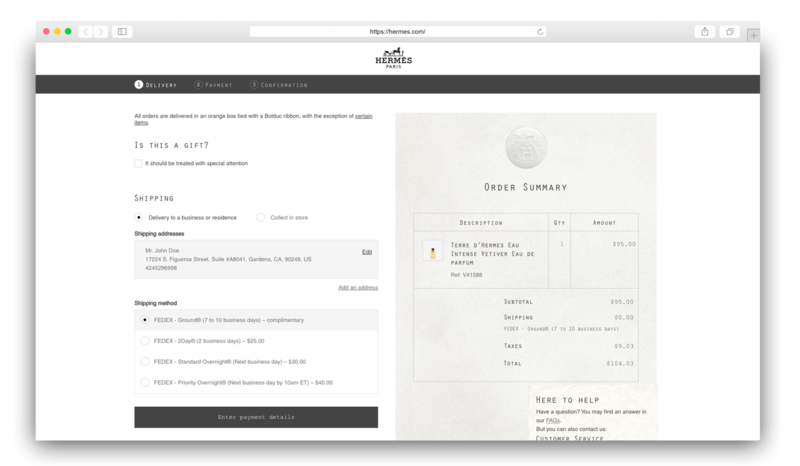 Add a $ 5 deposit (we will add this deposit as your shipping credit) - you will get a special suite ID A****. Then fill in this address when purchasing in US stores (see more info below). Planet Express account with the US address. If any of the steps above will be unclear to you, feel free to watch our tutorials. 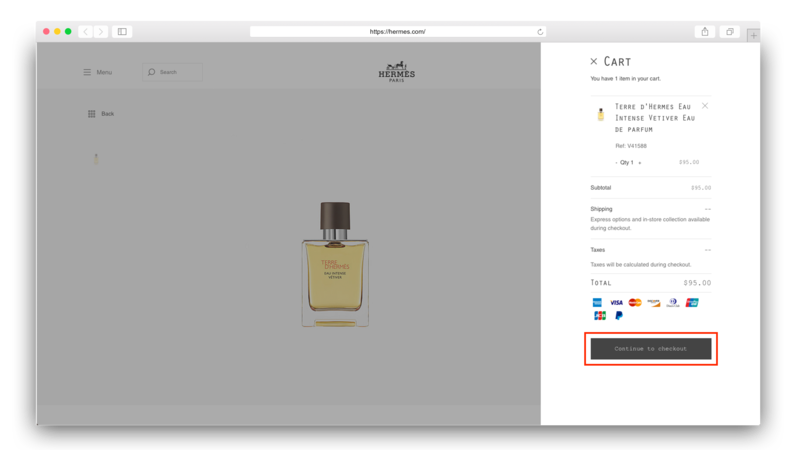 In order to buy on Hermès.com store, you must register first. Unfortunately, the site does not allow purchase without registration. Registration is simple and fast. 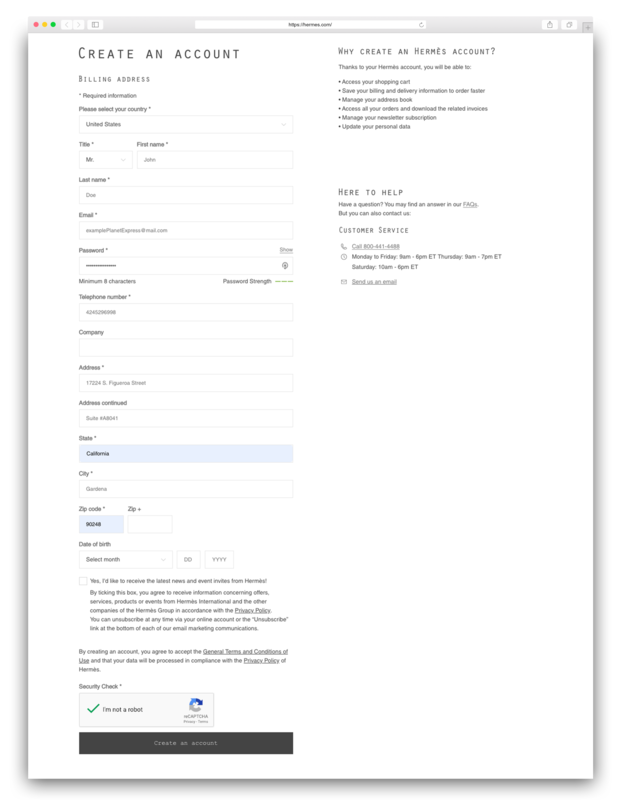 Just fill out some contact details as on example below. Create An Account on Hermès.com. It is essential that you fill in the address you received from us - remember to fill in your identification number according to which the packages will be assigned to your account at Planet Express. 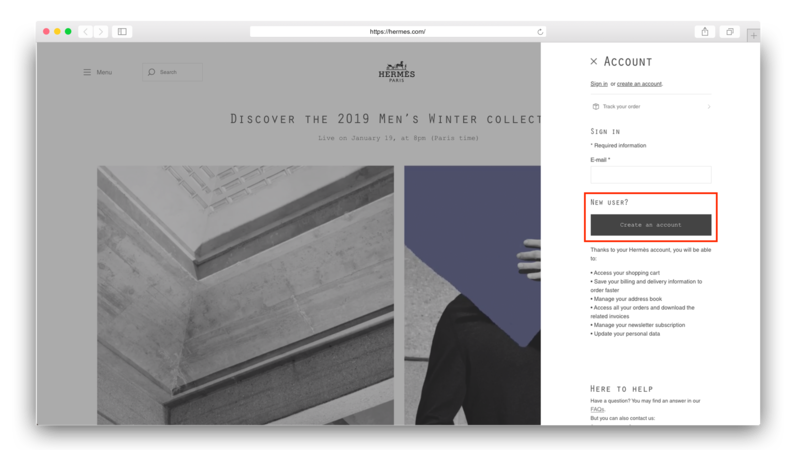 Registration form on Hermès.com – remember to fill in your suite ID. After sign up, you will be logged in. It is necessary to complete the order. To illustrate the purchase, we selected the Perfume section. Once you select the goods, click on it. Select a product you want to purchase. Add it to the shopping cart. Add the goods to your cart by clicking Add To Cart. 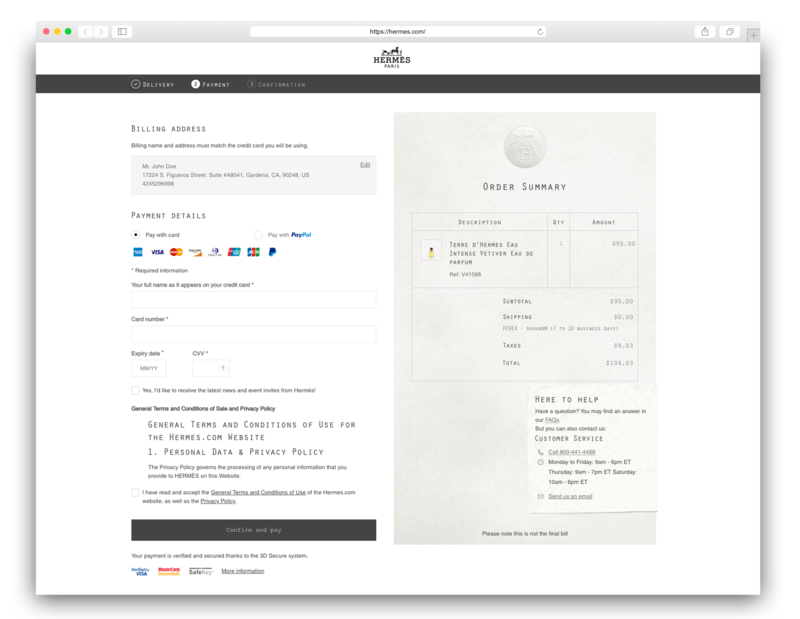 Now you can continue shopping, or proceed to your shopping cart and then pay. Click on the cart to complete the order. Click on Continue to checkout so you will see what items you have in your shopping cart. Remember, to complete the order, you have to be logged in. Only 3 short steps are left. First, choose the delivery address and delivery method. 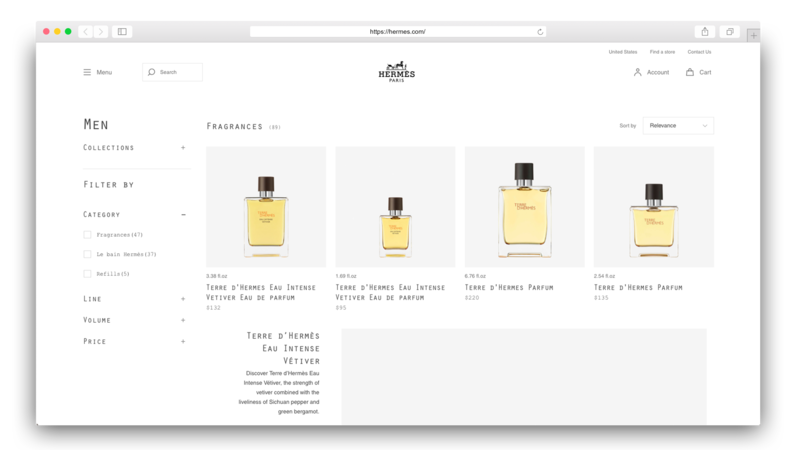 Hermès delivers through FedEx and offers free delivery. There are plenty of delivery methods including free shipping. After confirming the details, you will be able to pay for the order. You can pay by different types of cards (Mastercard, Visa, ...) or PayPal. It depends on you what you prefer. Select a payment method and follow the instructions. After that, just follow the payment instructions and confirm the order. Once your package is delivered to us, we will send you a notification email. Before you place a mailout request in our administration system, you will have to complete a customs declaration that will make it easier for customs officers in a given country to have control over the movement of imported goods. You will be able to choose one of our shipping methods then. 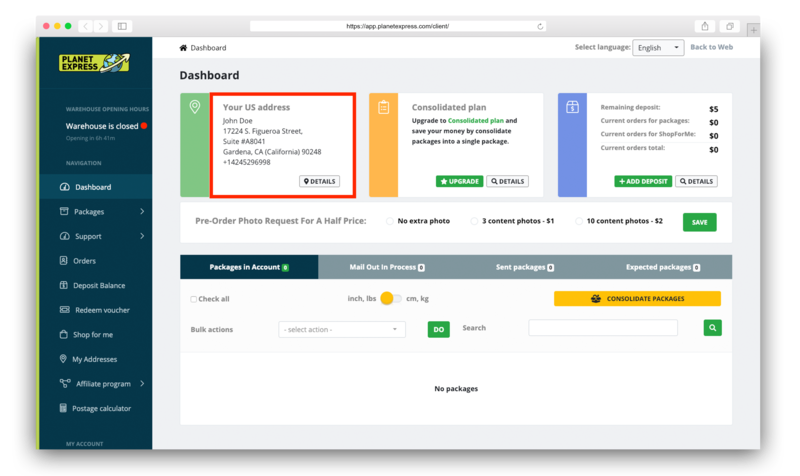 In case you have any special requests (eg to take more pictures, divide the parcel into more packages, check the status of the goods ...), simply submit "Special request" and we will take care of that. After sending the package, you can track its status with a tracking number*. *Applies to all shipping methods except Planet Mail Economy.